will have the feel of a home. with fruit trees and an Olive Grove and roses..
always kept warm with a very efficient heat pump. or Tennis with the equipment we provide. A lovely cottage but could do with a deep clean paying particular attention to the grease on the cookers knobs and sides. Thanks for the review and pleased that it was felt that overall the setting and the Cottage were pretty and lovely. And obviously have taken on board the specific concern about the condition of the cookers knobs and sides..
We were thrilled Redwood Lane Cottage met our expectations. 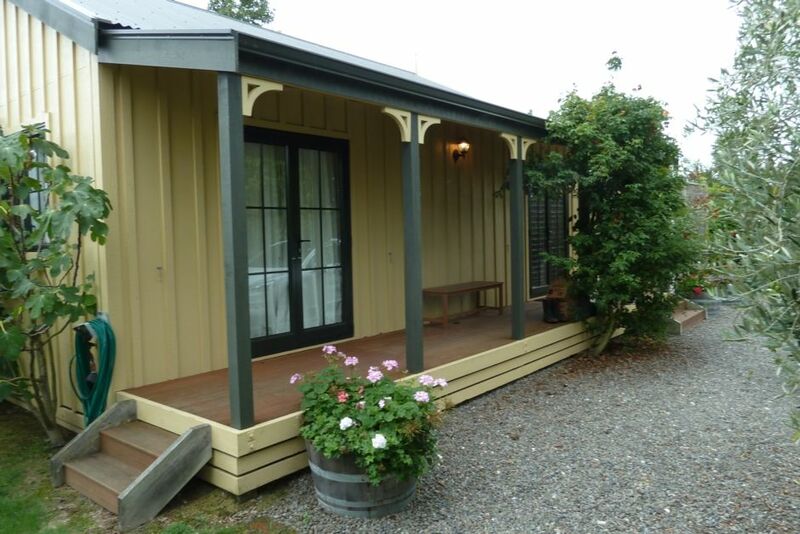 A real Martinborough gem tucked away among the olive trees. Far enough away from the busier streets but close enough to the square and the array of wineries. We plan to return for another relaxing break. Thanks for sharing your lovely property. Very pleased that you enjoyed your stay and nice to hear that you feel about the place in a similar way to us and our family. You will be very welcome to come again.